Very near to the Talek Gate at the Masai Mara you find the small uniquely situated Crocodile Camp. 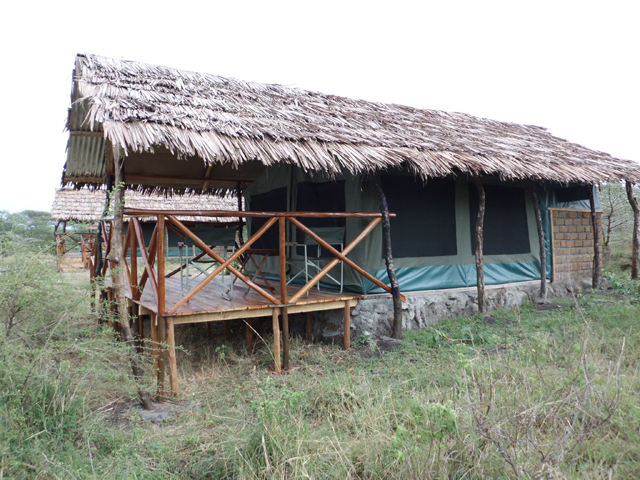 It is the only camp with access to the open view of the vastness of the Masai Mara savannah with their animal herds. Here you can watch directly from a safe distance out of your tent the unique wildlife of East Africa, e.g. various species of antelopes, elephants, giraffes, hippos and sometimes lions or cheetahs. At the time of the Big Migration from July to September, the last large migrant herds of wildebeest and zebra can be observed directly from the camp. observed from absolutely safe distance, this is also unique. The camp is equipped with clean restrooms, hot showers, kitchen and a small Bar / Restaurant. You bring your own tent or rent one from us or use the fully equipped permanent tents with private shower and bathroom (see gallery). 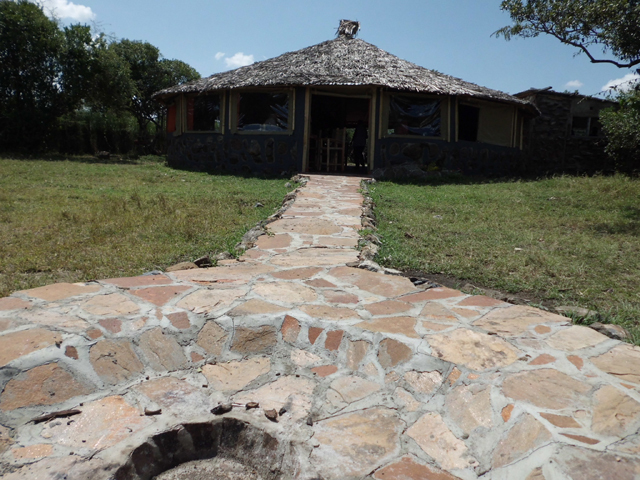 In the evening, a bonfire will be lit and we listen to the African animal noises or enjoy a traditional Masai dance. For the "Safari" in the Masai Mara we provide an experienced Masai Guide and a four-wheel all-terrain vehicle with an open roof including driver. Also possible is an exciting Masai walking safari outside the park. He is also responsible for the strategic and economic development and sucess of the camp. 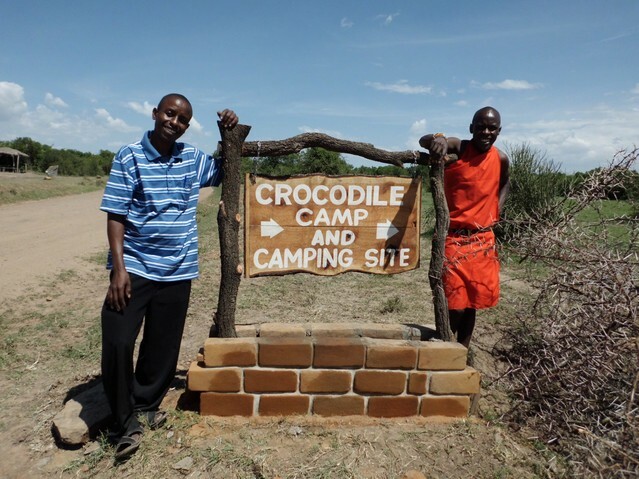 Living in the Masai Mara since years he gained an excellent relationship to the Masai people, who were employed as watchmen, building specialists or educated safari-guides by Crocodile Camp. support and equipment. 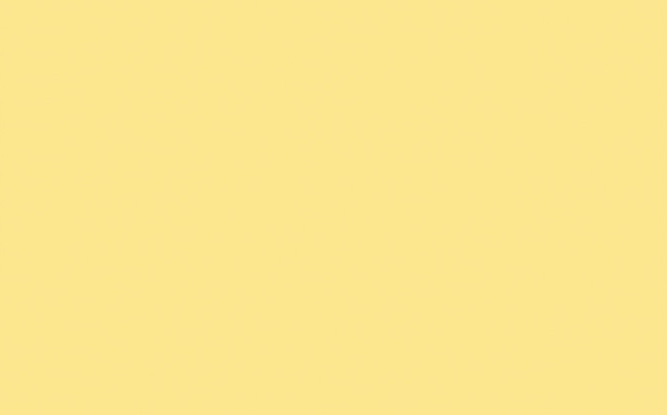 Test our service!